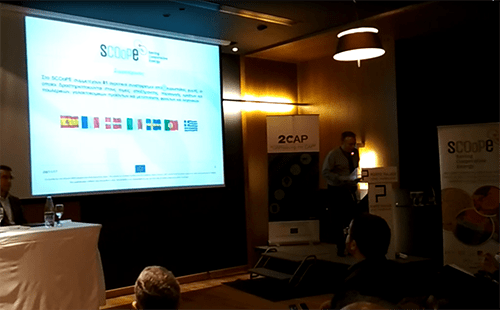 GAIA EPICHEIREIN SA on November the 09th, taking advantage of the wide attendance concerning the 4th Pan-Hellenic Congress, organized a brokerage event fully dedicated to SCOoPE project. 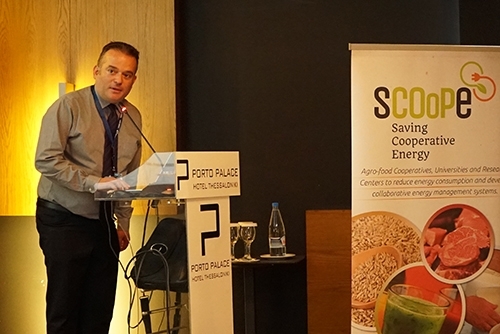 In this event, SCOoPEwas presented in large scale in Greece for the first time. 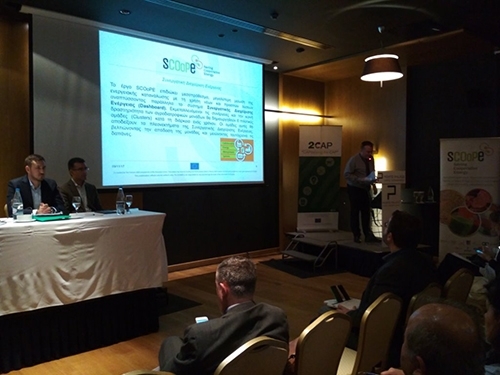 During this event, the projects’ concept and its main objective, the Benchmarking analysis of the energy consumption about 8 Greek Cooperatives, as well as the Greek cluster and Collaborative Energy Management Systems were presented to more than 80 participants, an audience consisted of agribusiness professionals, agronomists, university faculty & students, representatives from Greek cooperatives. 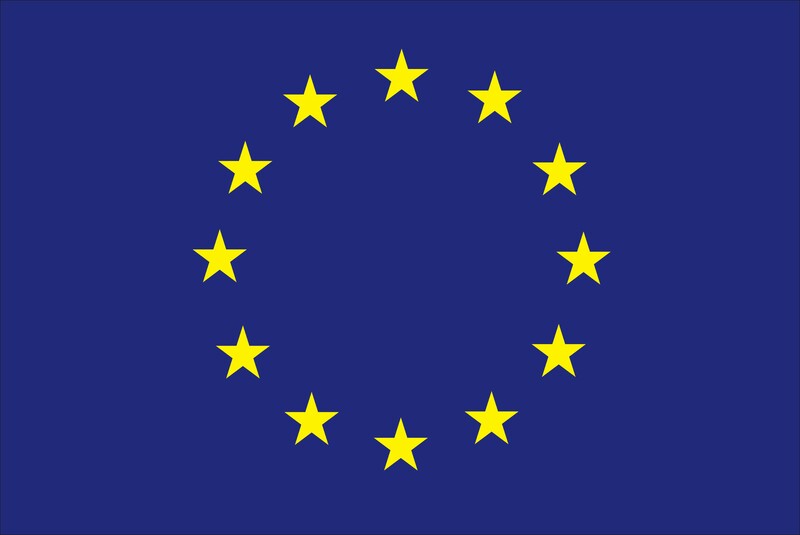 After the presentation, discussions concerning the project took place, with a lot of questions from the attendants which led to fruitful conclusions and information for the future activities of the project. GAIA EPICHEIREIN, member of Copa and Cogeca, organizes on an annual basis the Panhellenic Congress on the Development of Greek Agriculture, which is a reference point in the Greek agri-food sector. This year, more than 900 representatives from the farming community, the academic & research community, regional, national and EU authorities as well as major stakeholders across the agri-food chain in Greece and the EU, were gathered together in order to share their vision on Greek and EU agriculture and exchange views on trends and policies affecting the development of Greek agriculture.